The reappointment was made on the recommendation of the company's nomination and remuneration committee. 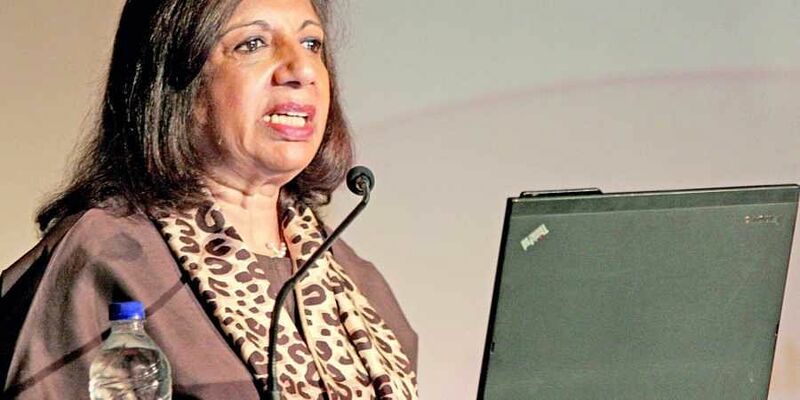 BENGALURU: India's biotech queen and Biocon chairperson Kiran Mazumdar-Shaw was on Friday re-appointed as Lead Independent Director of software major Infosys from April 1 for 5 years. "The board of directors has unanimously approved the re-appointment of Kiran Mazumdar-Shaw as the Lead Independent Director from April 1, 2019 to March 22, 2023," said the city-based IT firm in a statement here. "Kiran has been a pillar of strength to the board, especially over the last 18 months, as we steered the company to stability and growth," said company's chairman and co-founder Nandan Nilekani. As chair of the nominations and remuneration committee, Kiran played a critical role in the CEO and CFO selection process. "Kiran's continuity, experience and insights are valued by the board as they guide the company in executing its strategy in the coming years", Nilekani added.